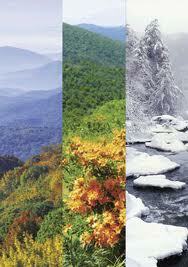 The different seasons hold different attractions, so the optimal time to visit depends on your choice of activities. The spring is excellent for hiking, as flowers and trees are just coming into bloom. Starting around April, rivers begin to melt, making for exciting rafting, kayaking and New River Canoeing adventures. Fishing in one of the calmer streams is also a popular activity. There are few mosquitoes and other summer pests here, which is a bonus for outdoor sports. The fall brings some wonderful foliage in late October, which is also harvest time, which means the town bursts out in a celebration. As winter sets in, ski resorts open. Slopes are generally open from Thanksgiving to March, making for a long season of winter fun. Whatever the temperature or time of year, A1 Mountain Realty sells some of the most beautiful West Jefferson NC Real Estate you will find in the state. A1 Mountain Realty is located in Downtown West Jefferson right in the center of town. Stop by our office or call 336-846-4900 and check out our listings. Our agents, Ellen Phipps and Gwen Hoover can help in your search for any type of NC Mountain Real Estate that you desire. If you can&#39;t get to Ashe County, view our listing from our website (www.a1mountainrealty.com) or do a MLS search for any type of High County Real Estate. West Jefferson NC weather is a genuine representation of spring, summer, fall, and winter.&nbsp; To see how idyllic West Jefferson NC weather is for yourself, come to Western North Carolina at any time and let us help with all your Ashe County Real Estate needs.